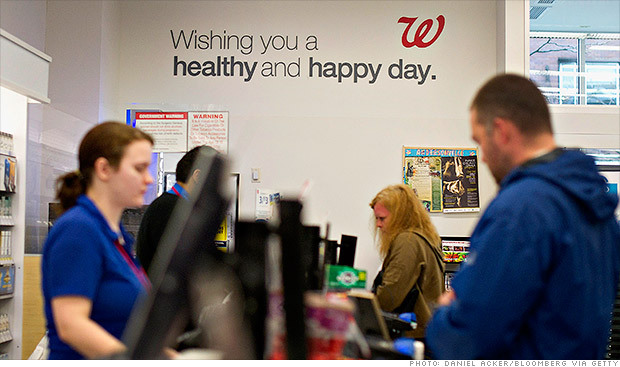 The Walgreen Company (Walgreens) is the largest drug retailing chain in the United States. As of May 31, 2014, the company operated 8,217 stores in all 50 states, the District of Columbia, Puerto Rico and the U.S. Virgin Islands. It was founded in Chicago, Illinois, in 1901. The Walgreens headquarters office is in the Chicago suburb of Deerfield, Illinois. In 2014, the company agreed to purchase the remaining 55% of Switzerland-based Alliance Boots that it did not already own to form a global business. Under the terms of the purchase, the two companies merged to form a new holding company, Walgreens Boots Alliance Inc., on December 31, 2014. Walgreens became a subsidiary of the new company, which retains its Deerfield headquarters and trades on the Nasdaq under the symbol WBA. Walgreens began in 1901 so is the longest tenured existing drug chain as well as the largest. Unlike rival CVS, which has grown mostly through acquisition, Walgreens has built the vast majority of their stores. I used to go to Walgreens with my mom as a kid in Des Plaines, Illinois in what was then called Golf Park Terrace. Looks like the store is still there, or at least there’s a Walgreens nearby. There was a restaurant inside the store and we always stopped for a milkshake before going through the turnstiles and shopping. If you have a story about Walgreens or wish to recognize someone that worked there, comment here and it will be added to the page. I was a SFL for 2 years, it mostly sucked except I had the greatest SM ever, so heres a shout-out to Rita Thomas, wherever you are. She also left WAG but no clue where she landed.